We do not know what really transpired between President Maitripala Sirisena and the powerful GMOA in the meeting today (30/9). But the doctors seem to have come out of it in a mood of satisfaction. Sirisena would have, presumably, managed the irksome gang with more soft talk; leaving an escape gate for the GMOA which had got tragically locked over the issue of demanding “good schools,” for their kids. Had they met the Prime Minister Ranil Wickremesinghe, they would have got a mouthful. Remember how our Prime Minister had spoken unreservedly against them on the floor of Parliament when the doctors dared to leave their stethoscopes and fight the proposed ETCA trade deal with India, instead. That was the first indiscriminate and half-witted move by the body known as the GMOA. The reason is simple: they were invading into a non-relevant territory taking upon themselves the onerous task of Parliament to do just that. It was plain and simple trespass by the Medics. They should have left that for good old Dinesh who has been an effective Rotweillor in that august assembly. On the other hand, even Dinesh is waiting for the Bill to arrive in Parliament. Nobody has yet seen the proposed legal deal as it is in the process of production. Our Medics appear to be in possession of extrasensory perception powers. To oppose the ETCA on principle is ridiculous in these times of international trade agreements. The Medics haven’e heard of the science of economics and the hopelessness of protection in the context of opening markets happening all over the world. An economy simply cannot afford to lock itself from such developments and retract into protectionism. It would have been better for the doctors to train their own kind to confront competition. Having observed how one doctor had reportedly amputated on the wrong foot of a young woman there is a case for such internal betterment. Having tripped once, these doctors tripped badly again. This time it was a worse and quixotic action to demand from our legislators that their kids be given favoured treatment of entry to “good schools.” Why? Because they are doctors. It was disaster this time because that was an intrinsically unpopular move. Medics should have realised that they had to work in a social environment that is given to them. Lakhs of parents keep coaching their hapless kids from even Kinder upwards to try and get the fellows through the Year Five SelectionTest. Even the nurses and attendants in the very hospitals the doctors work spend their hard-earned money and the tips they receive for tutioning their kids. In Sri Lanka, since entrepreneurship is lacking, education is the only catalyst for moving out of a wretched underclass. What happened to the brains of the GMOA personnel that made them so insensitive to possible popular backlashes? When the ego flies sky-high one mentally escapes reality. Suddenly, lo and behold we found the learned men and women of the GMOA losing their sense of presence in a society and acting in a different universe. Besides the countless poor folk in towns and villages, what about other peer professionals? The Engineers, Science researchers, administrators, accountants, educationists and the long list? Why didn’t it sound a pure act of selfishness for the doctors when they kept demanding and threatening for privileged status while the other professionals had to grin and bear? I understand these doctors received a flood of anonymous letters and scurrilous pamphlets from the public who could not bear the culture shock of observing doctors flexing their muscles against the government over this unethical demand? Did you see the images of these medics squatting on the floor of the office of the Minister of Education. They were all over Facebook and we had nonstop laughter. Men and women of the medical profession may think they have medicine for all ills. There isn’t medicine for folly. The subtext of the “trade union action” of Medicos was an attempted blackmail. Conscious of the power to heal that they received after years of schooling in the Medical Colleges at taxpayer expense the latter wanted to hold that power against an elected government: “You give us these demands or face the consequences of hospitals closing down.” Nothing will ever close down if science researchers or accountants fold up. Now, this is not merely unethical but ugly. Who suffers but the poor patients who daily flock for relief from illness. Imagine cancer patients going through pain and agony clutching at their brittle lives and waiting for the next dose? Heart patients waiting for the bypass? Pregnant mothers waiting for a smooth delivery? Is it right to threaten to deny all these merely because the government is refusing to slash the trade deal or give “good schools” to the kids of Medics? I have served over three decades in the Sri Lanka Public Service before I came to settle down in Australia. We always looked upon doctors with respect and the GMOA was regarded as a top professional body delinked from day-to-day politics. What an enormous come down now from that celestial pedestal? Probably, the once high professional culture of our Medics has also been swallowed up by the wider vicious political culture that had been growing under the previous regime and enveloping our society.The rulers at the time kept many professionals happy by granting special perks and “santhosam.” Every one important to the stay of the regime was given “something ekak.” Professionals were not encouraged to improve on their professionalism and keep that ethical boundary intact. It is alleged that some doctors gave false verdicts about murders done by regime criminals. Body parts of the dead went missing, news stories say. A kidney transplant business was thriving.The stories one hears in recent times are shocking enough. We never had such gossip in the past. Cops and Docs go hand in hand to keep the political powerful in their positions. Cops and docs and Docs and Cops behave the same. I remember while in Sri Lanka recently how at a TV panel discussion the GMOA rep was asked to explain why they should protest about the ETCA as the latter was all about a trade pact. The GMOA rep responded saying that they are also citizens and in that capacity they must fight for the country and the people. One guy from the opposite side then asked: “Why did your GMOA not fight against the state terror that went on during the last regime? When dissenting journalists were murdered or sent missing and so on. When white vans were circulating to catch “traitors” to the regime? The GMOA guy went dumbstruck and I saw him writhing and twisting and twitching before the TV audience. Persons and organisations must learn from mistakes and rectify themselves. The GMOA, on the above account, is seen repeating its blunders over and over again. It has been so degraded,it seems, that it has lost the capacity to learn and to listen. When a professional body does reach such a pathological stage what is the solution? The rank and file should send the ruling leaders home.It is all clearly a matter of leadership. It seems the only solution is for the general membership to sack their leaders and give them a break. That buffoon Padeniya aka Pavaadeniya and his GMOA are a callous and extremely cruel gang.A poor patient died in the Ratnapura Base Hospital when the GMOA was on strike over school admissions for their children.These beggars should realize that they were educated at our expense and this is how they treat us now.Remember GMOA your children will pay dearly for this actions by divine retribution. Not only doctors, but all public servants who toiled hard to qualify for their future, would not be able to give of their best while their children have no avenue of the good education which they themselves had. ALL were educated at state expense, and ALL have to repay by their service to the public, not to politicians. If doctors only are fighting for their childrens’ future, why should only they be vilified? How could they prevent disease disability and death, and improve the quality of life of fellow citizens according to the strict code of ethics called the Hippocratic Oath – while compulsorily transferred every four years, with consequent alteration of their lifestyles, but be on call even at home for emergencies of life & death situations – unlike all other public servants? Why cannot the state develop the standards and scope of education of at least one school in each district to benefit children of all public servants – while most politicians’ children are abroad getting quality education ? Why should doctors modify their just demands to conform to please the “lawmakers”? Any parent will adopt any method/means to enable quality education for his/her children, even by invading the “non relevant territory”, so long as no laws are broken. Should they be blamed for this? transferable service personel must be looked after. This problem would not be there if services are decentralised so that when you apply for a job you are responsible for your childs schooling. These doctors should be ashamed of their selfish behaviour . I am glad that I am not in Srilanka and I won’t be receiving treatment from these type of people who think of only them selves . Demanding quality education for children, when billions are frittered away due to fraud, inaction, megalomaniac projects, nepotism, unqualified misfits in state enterprises and public/diplomatic services, illegal vehicle permits sales, bank scams, etc. and spending least amount for education, is NOT selfishness. Without developing even one school in each district to international standards, but, sending children abroad for studies is a crime against future generations. The official estimate of what Sri Lanka currently owes its financiers is $64.9 billion — $8 billion of which is owned by China. The country’s debt-to-GDP currently stands around 75% and 95.4% of all government revenue is currently going towards debt repayment.Sri Lanka may be in a debt trap that it can’t get out of. This year alone $4.5 billion is due to foreign lenders and next year $4 billion is owed — bills which the country has not yet figured out a way to pay. EDUCATION AND MEDICINE HAVE PARTED IN THE UK- BACHELOR ACCOMMODATION FOR all DUCKS. FREE EDUCATION WOULD GO TOO- ROBBER DUCKS RUN THE ISLAND. Commonwealth meet:The populace showed the world that it had no balls to protest but take it lying So the marriage of convenience My thuna – its a very enlarged family so they send kids to eaton etc. So they want to establish a New Bahamian Caste, the GMOA Caste. Say, No. The meritocracy should be based on capability and intelligence. Students need to be selected on the basis of their ability. Needed a society governed by meritocracy. What are the GMOA Castists going to ask next? University and Medical School slots for their children? Some of these doctors marry stupid women who are rich businessmen’s daughters, and some of the resulting issues turn out to be morons. So they want the best schools for these moronic children, while denying the slots for intelligent children. 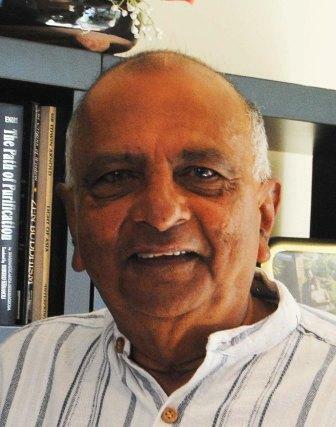 Shyamon Jayasinghe, I heard that many years ago, the IQs of the students at Peradeniya University were tested and ranked based on faculty. The ranking were as follows. So based on the above, the children of GMOA doctors will have a hard time competing against the children of Physical Science and Engineering Faculty students. To this add marring the businessman’s dumb daughter, and the offspring will have a hard time, in a world of meritocracy should be based on capability and intelligence. Nothing but a gradual deterioration of the medical profession.!! GMOA is fighting hard to protect their turf from competition. What is required is good regulation and open up the markets. Let a patient decide whether they want to consult an Indian specialist or a SL specialist. The only way to bring back GMOA back to earth is if govt asks all GMIA doctors to decide whether they want to be in public practice or private practice as in other developed countries. You cannot be allowed to be in public service and allow private practice at 4 pm everyday. The GMOA understands that if they allow foreign graduates to practice in SL and allow private medical education in SL, there will be adequate doctors and their bargaining power is lost. GMOA has forgotten that their education was paid for by the public.!!! You are very good writing stupid articles. How di dyou make it and start living a life in australia ? Why it is wrong, if some one else is asking the same luxury ? Do you very well about what medics are asking. I am pretty sure, you know a little and talk a lot. Medics are not even asking to the extent that Politicians are enjoying the privilages. first study their issues and talk. Politicians are enjoying a selected few schools in colombo. MNedica are not even asking that much. Why Should not medics ask better schools. Should they wait until everybody ask it. See politicians what rhetorics they talk to develop the country, to serve people and then what they do. they are getting rich and making their families doing well. You know how australian politics work. Australian politicians know exactly where they are taking the country. they never screw up bad their voters. Is it the same with Sri lankan politicians. Sri lankan politicians always lie to voters and do what they like and not what the country needs or not what the voters should have. they never make the life of the voter easier. They only make their life easier. You boast here sayinbg you were in the public service and now in australia. You know australia and why don’t you think about people in Sri lanka. Are you a jealous or dumb hypocrite ? Has Uncle Shaymon got a grudge against our Doctors who get paid less than 20 dollars for a consultation , while Shaymons in the diaspora pay over 200 Bucks every time they get their tickers checked. I can understand if it was Mr Poorten , who has to go to Jayawaradana Pura. Still he doen’t have tp pay anything unless he has a private consultation.. So you think 20 dollars for a 10 minute consultation (after a wait of 4 hours for the godly quack to turn up) is cheap? That’s 120 dollars an hour,mate. About 1000 dollars for 8 hours. No tax either. No receipts. If you come and live here, you’ll find that it takes you 3 months to earn that much in SL. Perhaps all you expats should get your tickers checked here? As an outsider, I see the two sides of the coin. Angry public fed up with demands of doctors and disillusioned doctors who have less and less incentives to work as a government doctor, both caught in conflict. Mr Jayasinghe has written what is already known. I think we need more solutions than rambling about both sides. 1. We need new leadership from doctors. Padeniya et al need to leave the scene. I think they are part of the problem with the the way doctor’s grievance was presented to public. 2.Health sector needs sustainable modernisation. This may be in private government partnership. 3. Srilankan public deserve private medical schools. State medical school should also be encouraged to admit private students. I am saying this having entered the medical school in the super merit. Although the time will tell our politicians will not ruin the medical school entrance. 4. University dons needs to closely scrutinised for favouring their families Many university posts in the medical faculties are filled by either cronyism or relationships instead of merit in my opinion. 5 ETCA could help us to recruit indian professors. 6. Finally please stop being a critic and help the disillusioned doctors. I saw even the senior consultants in premier specialities such as ophthalmology are concerned about work load work life balance etc. Socialist Uduran kanna pakshya- from after Premadasa 93 to today..
lanka is following the queue as in the west. local doctors have left with their baggage to other nations and bachelor accommodation new doctors are brought in. Unless this happens you link it with education – the bubble would burst. All PATRIOT SELL YOUR SOUL FOR MOTHER LAND :000 SORRY I CANNOT HELP LAUGHING. But this doesn’t necessarily mean that Sri Lanka’s current administration is doing much better. Under President Maithripala Sirisena and Prime Minister Ranil Wickremesinghe, who came to office at the beginning of 2015, domestic debt grew by 12% and external debt by 25% without starting any new large-scale infrastructure projects. Sri Lanka may be in a debt trap that it can’t get out of. This year alone $4.5 billion is due to foreign lenders and next year $4 billion is owed — bills which the country has not yet figured out a way to pay. Various interim solutions to the debt crisis have been proposed, such as offering debt-for-equity swaps to countries, such as China, that Sri Lanka owes big and privatizing and outright selling loss-incurring SOEs, which have yet to receive much interest. The IMF did agree to provide Sri Lanka with a $1.5 billion bailout in the form of a loan in April after the country agreed to a set of criteria to attempt to right the course of its wavering economy. However, as reported by East Asia Forum, Sri Lanka’s Central Bank has stated that it is their intention to secure an additional $5 billion in loans after receiving these funds — and corresponding seal of approval — from the IMF as the debt trap continues getting deeper. Ken Robert proposes that we should get down Indian doctors for relief under the ETCA. Our GMOA hates the site of Indian doctors and that is why they are protesting the ETCA. It is said that Indian doctors were noted as being kind and attentive when they last came to Colombo. Further, they don’t seem to care the old, sick and the invalids. The medical profession has given them status not a heart. What the Doctors should demand is reciprocity of arrangement or agreement. Recruitment of any indian work force needs to be well planned and vetted like point based system operating in countries such as Australia and UK. We live in a global village. That’s the reality. What is quoted is wrong. It is obvious that no matter what uncle Shyamon is determined to supporting the Ranil faction of Yahapalanaya! When Ranil W is against doctors’ demands he too automatically goes with it! My3 has promised a compromised solution and that would be slap on Ranil’s adamant face! 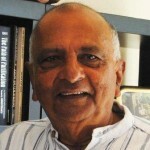 Uncle Shy wants to defend Ranil’s position has miserably failed in this articel! For some time now this Mafia Gang know as the GMOA has been engaged in their extremely self centered antics. Duty free car permits, ECTA and now the best schools for their children, while holding governments to ransom over the lives and health of patients – generally the poorest who patronize state hospitals ? The latest and most disgusting act was the invasion and occupation of government property. Would the Police or other authority tolerate this kind of thuggery by any other group ? Should not legal action be taken against such persons ? Why should these persons be treated any different because they are ‘doctors’ . Every group in society needs to be respected whatever their profession. They all contribute to the well being of the community. There was one spokesman of the Mafia who said that they deserved special treatment because the very lives of human beings depended on their skilled actions. What a silly argument from these supposedly intelligent ‘doctors’. What about an airline pilot who over one week will have the lives of more people in his/her hands than the average GMOA mafia member will have over perhaps one full year ? So can pilots also demand for duty free car permits and the cancellation of ECTA ? What about garbage collectors ? Don’t they also perform an extremely important task ? The ridiculous perks and privileges that politicians grant themselves is an issue that civil society must also fight against. What is sauce for the goose HAS to be sauce for the gander as well. They too cannot demand and obtain duty free car permits, top schools for their children and other privileges not given to other groups. So the Prime Minister (and other parliamentarians) cannot give a ‘mouthful’ to doctors only, and hand themselves unreasonable ‘goodies’ through the back door. The public pays for all of these. I believe the decline in medical standards started the day that the “viva voce” interview for aspiring doctors was abolished. That paved the way for riff-raff like Padeniya to hijack a respected profession. These tie-wearing hooligans of the GMOA want private practice for themselves at 10,000 bucks an hour tax-free, but don’t want a private SAITM or -omigod!- Indian doctors working here for 2000 bucks. When these jackasses who were educated with OUR money start paying income tax,AND give receipts for their fees, I will believe their hearts bleed for poor patients. SIGN THE ETCA and get on with it, Ranil!!! NOW SHE IS PLAY THE VICTIM OVER THE TAMILS. PRONTO: HE MUST BRING IN THE STEAM ROLLER AND MAKE RIBBON OF ROBBER DUCKS. (LOOK AT THE DIRTY FACES OF RANIL AND HIS NEW BEGGING BOWL. The GMOA,like the White-Van is now a dirty word. Therefore,Private Medical schools with a Viva for entry,like in the old days,is the remedy.